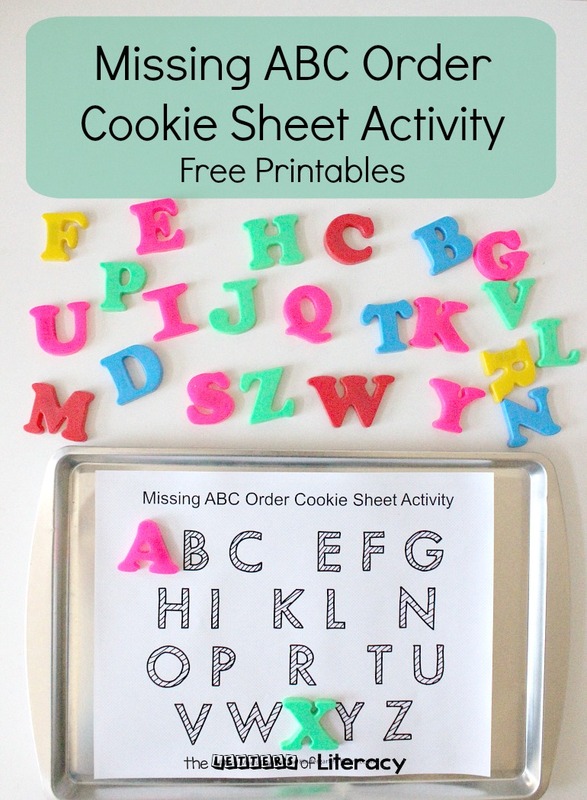 Teaching alphabetical order and letter identification is made even more fun with this missing letters cookie sheet activity. 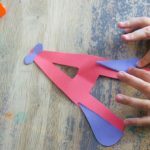 It’s the perfect activity for pre-school through kindergarten. My soon-to-be first grader even enjoyed it! 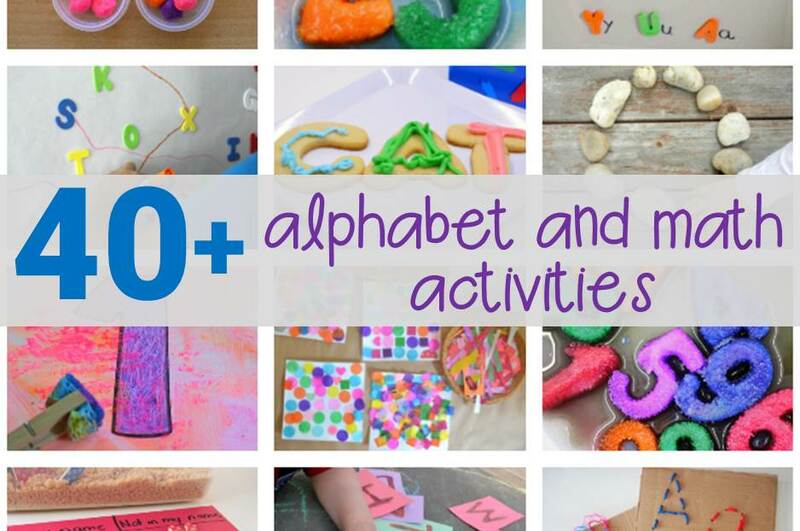 Pair this fun game with our alphabet experts mega pack for even more alphabet fun! 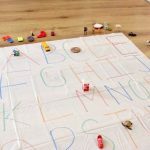 Early literacy skills are dependent on a child’s exposure to letters, sounds, and print concepts. As educators and parents we can begin enrichment very early on by talking, reading, singing, word games, nursery rhymes, and immersing children in print from the time they are babies. 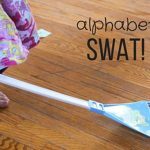 We naturally begin with teaching our children the alphabet very early in toddler years when we sing the ABC song and when we read to them. 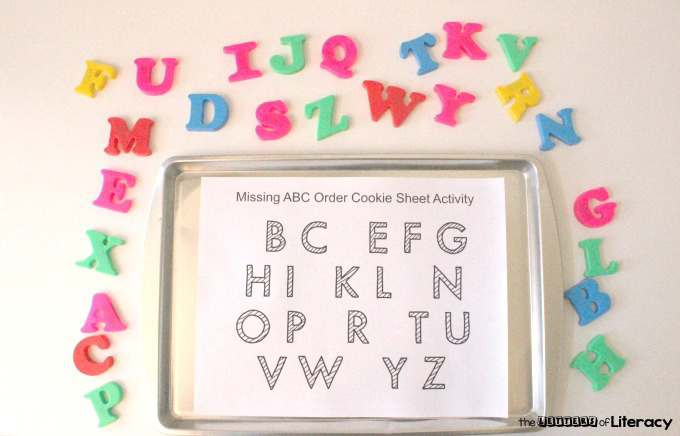 What’s wonderful about this missing letters cookie sheet activity is how simple it is to put together. 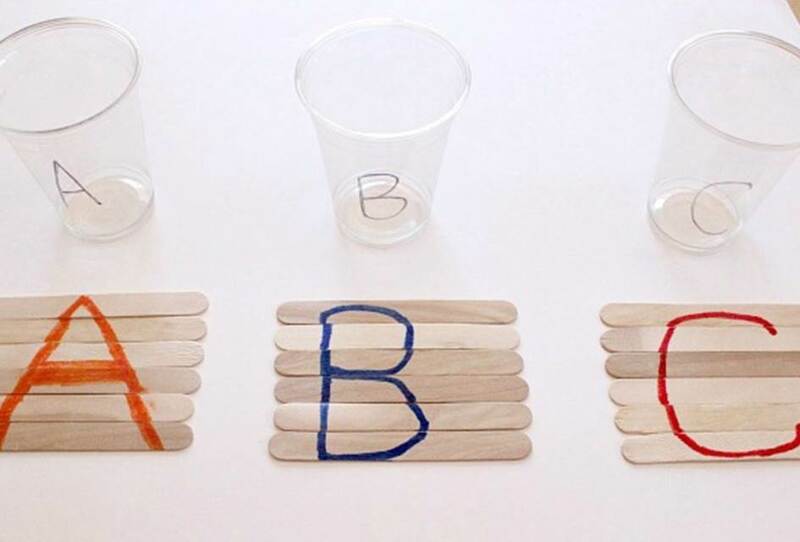 Just a few supplies and this is perfect for a literacy center or small group. 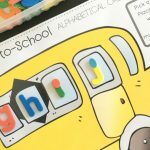 Kids can match up the uppercase letters or fill in the missing ones. 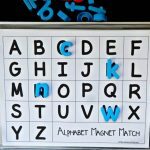 If you have lowercase magnets, they can also have fun matching upper and lowercase letters together. 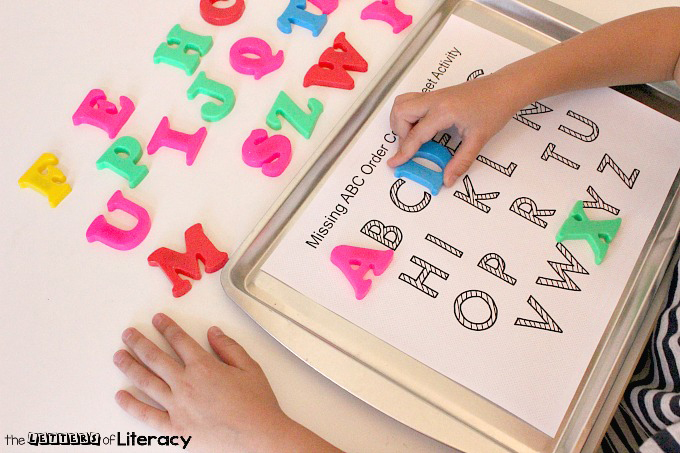 Put an alphabet book in this literacy center with this activity. 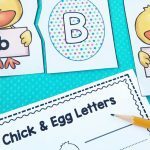 Place an alphabet chart in this literacy center with this activity. Put a tape/c.d. player with the ABC song in this literacy center. Enjoy this journey of introducing early literacy skills to the beginning readers in your life! 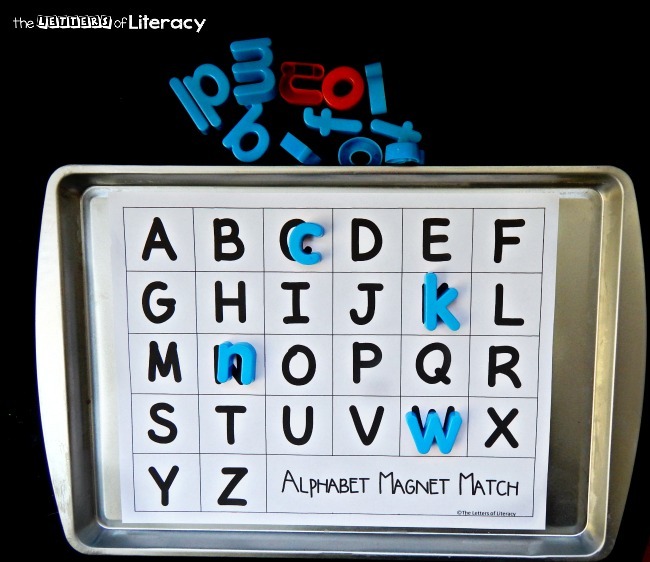 Have your cookie sheet and letters handy? 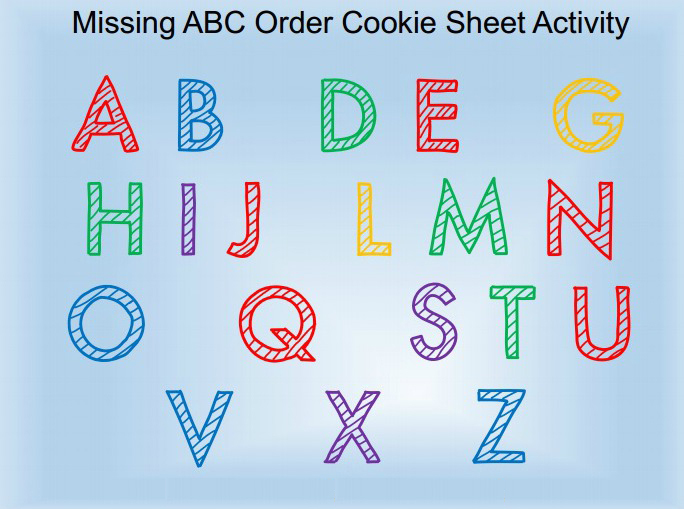 Grab your free set of the missing letter cookie sheet activity pages (in color and black and white too!) by clicking the blue button below. 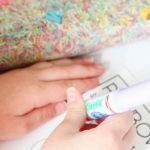 Then, hop over and learn how to make a super fun alphabet sensory bottle. 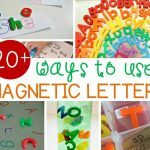 Looking for more resources and ideas for learning letters? Here are some of our favorites!